Sri Lanka will witness sixteen May Day rallies organised to mark International Workers’ Day on Sunday. SLFP - The May Day Rally of the Sri Lanka Freedom Party-led United People’s Freedom Alliance will take place in two phases. The processions will move towards Galle from the Pinnaduwa access point and on the Galle Road starting from the Mahamodara Hospital. The May Day rally will take pace at the Samanala Grounds in Galle under the auspices of President Maithripala Sirisena. 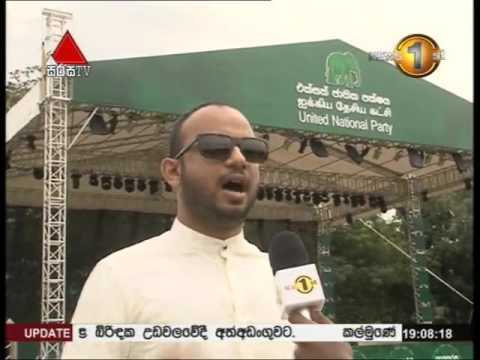 UNP - The May Day rally of the United National Party will commence from Pradeepa Mawatha in Maligawatte and will proceed to Campbell Park in Borella. Prime Minister Ranil Wickremesinghe will preside over the event. JVP - The May Day Rally of the JVP will commenced from the S. De S. Jayasinghe Grounds in Dehiwala. The meeting will take place at the BRC Grounds in Havelock Town. Democratic Party - The May Day Rally of the Democratic Party led by Minister Field Marshal Sarath Fonseka will commence from Rajagiriya, and will proceed to the Buddhadasa Grounds in Battaramulla.